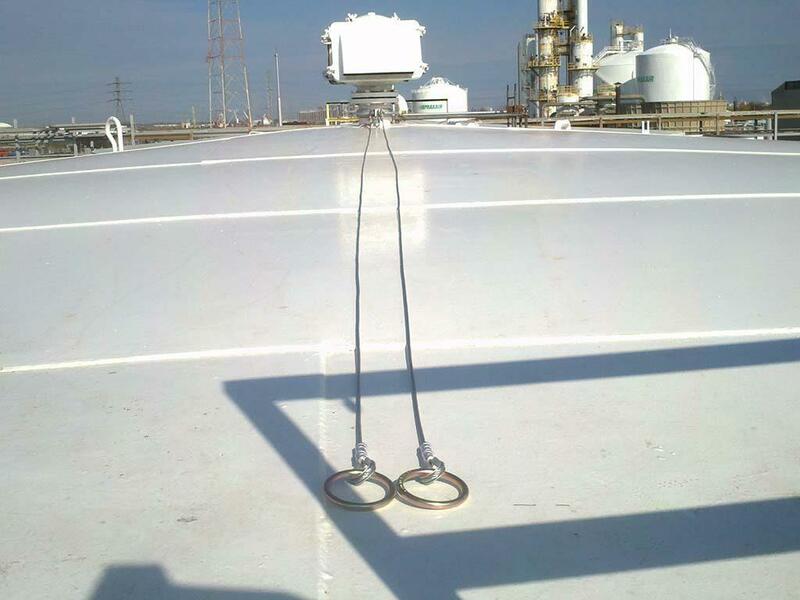 Sesco Safety has designed a full range of clamp on tank anchors for storage tanks and can analyze your tank in accordance with API (American Petroleum Institute) standards to ensure your tank is capable of supporting the load of a fall. 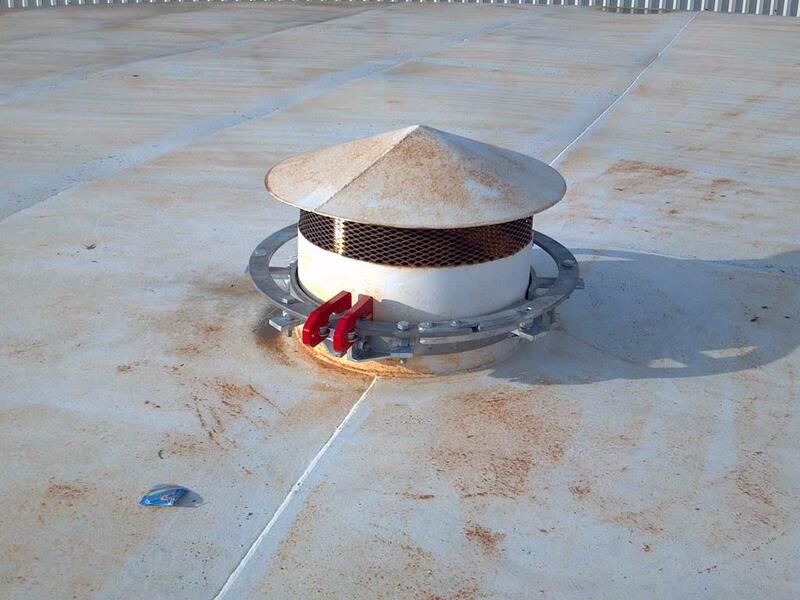 Above ground storage tanks provide a unique fall protection challenge for many companies. Most tanks have little to no guard rail and workers are often exposed to fall hazards while accessing the tops of tanks for inspection or maintenance. It is often infeasible and unsafe to weld guardrail to an existing tank. With this in mind, Sesco Safety has designed a full range of clamp on tank anchors for storage tanks. 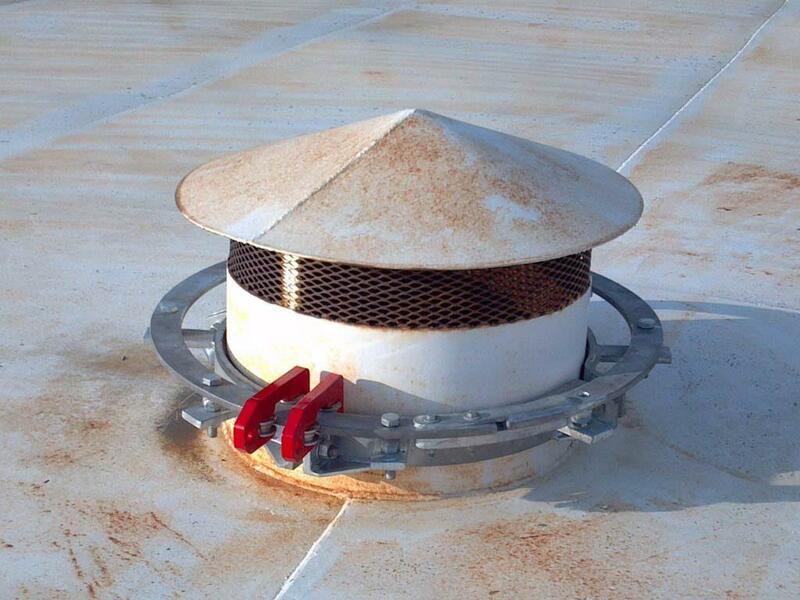 Most tanks have a center vent flange that provides an ideal location for a fall protection anchorage. Our tank anchors have been designed for pipes as small as 4” up to 48”. Our larger tank anchors feature a circular trolley rail allowing up to 2 users to work off of the anchor safely in fall restraint. 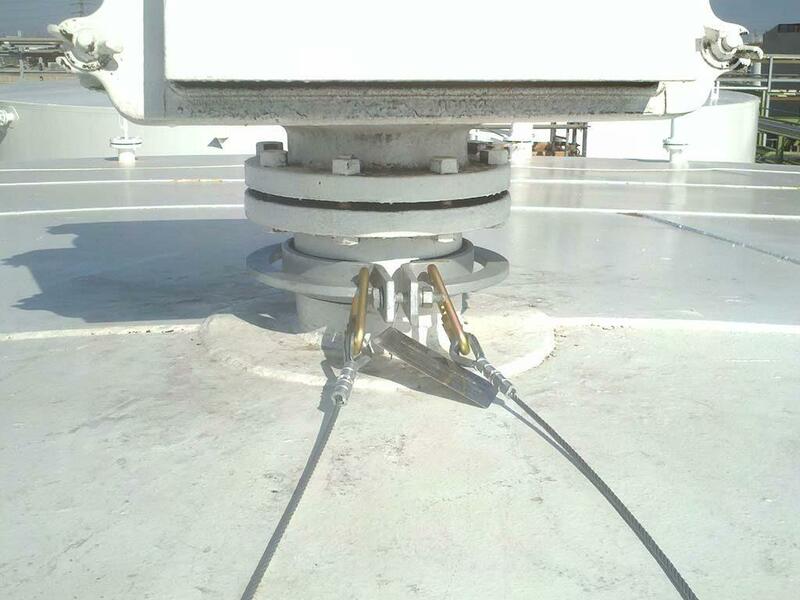 Several options for tie off equipment are available including rope and rope grab, fixed stainless steel wire rope and retractable lifelines. Sesco Safety can also analyze your tank in accordance with API (American Petroleum Institute) standards to ensure your tank is capable of supporting the loads during a fall. 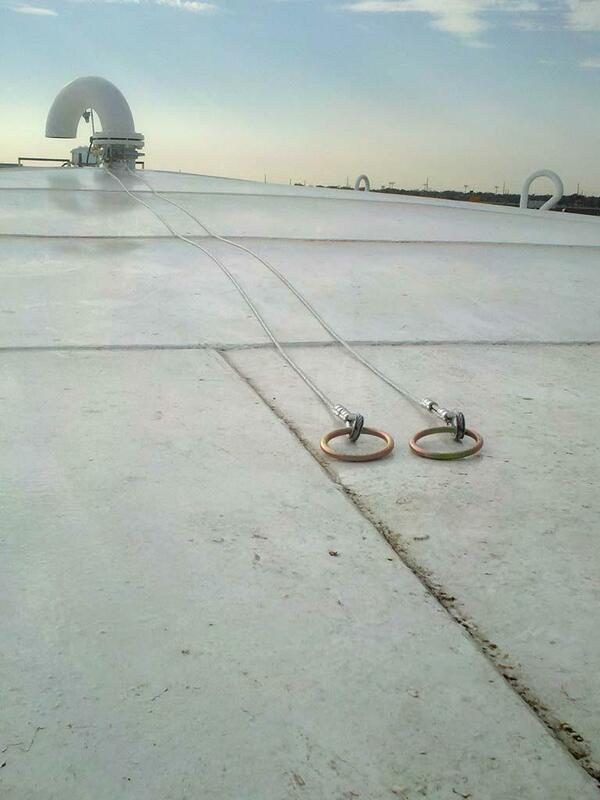 Looking for an economical and proven solution for fall protection on your tanks? 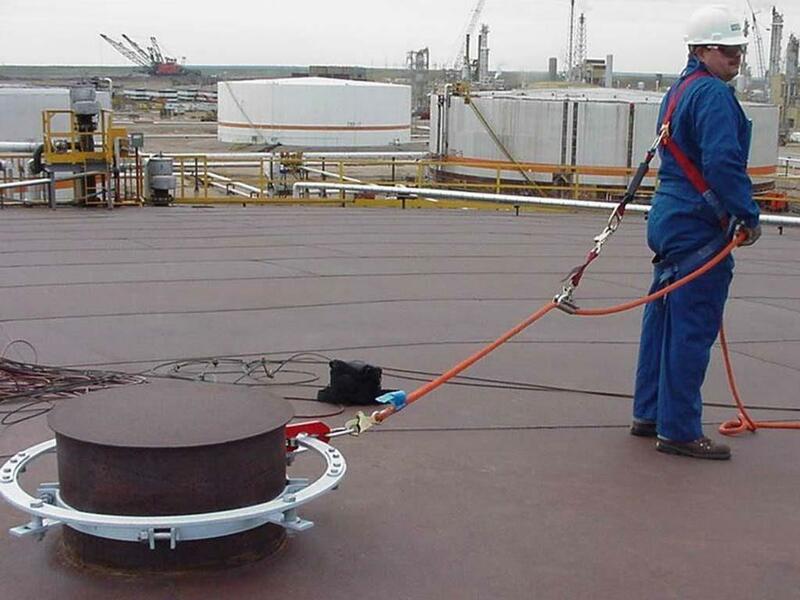 Contact a Sesco Safety specialist to discuss how we can help.